HOW CAN IPRESAS CONTRIBUTE TO ACHIEVE AN IMPROVED RISK MANAGEMENT? iPresas develops software to support governance and investment prioritization for dams and other infrastructure projects. 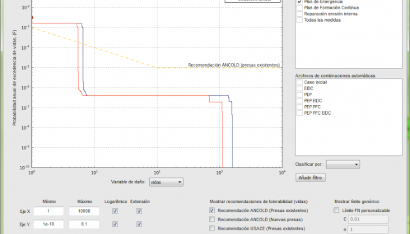 iPresas software is provided as a paired tool with the development of pilot cases, and includes a comprehensive documentation including examples (both in Spanish and English). 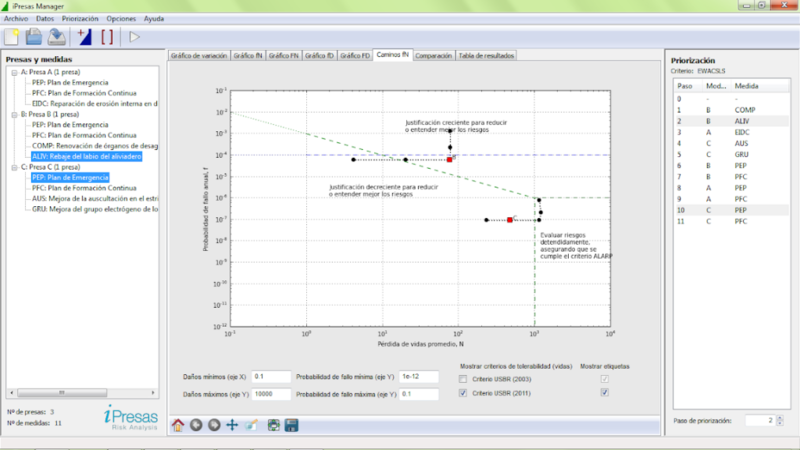 iPresas software tools enable risk calculation and analysis aiming at obtaining the optimal sequence of measures for investing on safety. Two of our main products are: iPresas Calc e iPresas Manager. 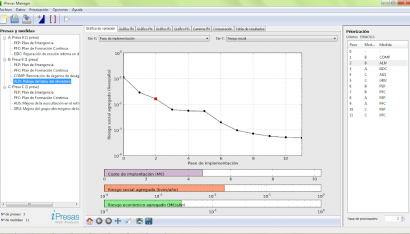 iPresas provides demonstration tools that can be free downloaded from our Downloads section. 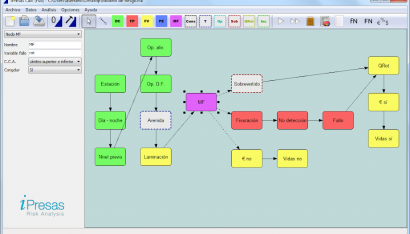 An intuitive graphical interface with capacity to integrate the probability of occurrence of loads, the system response and the consequences through the use of influence diagrams. 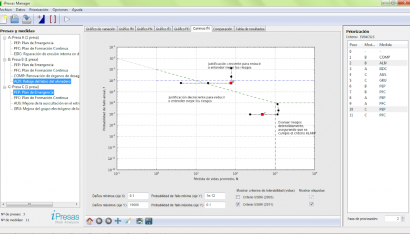 The capability to analyze a broad range of loads hypotheses (hydrological, seismic…). The decomposition of the problem in different failure modes (including advanced settings as Common Cause Adjustment). 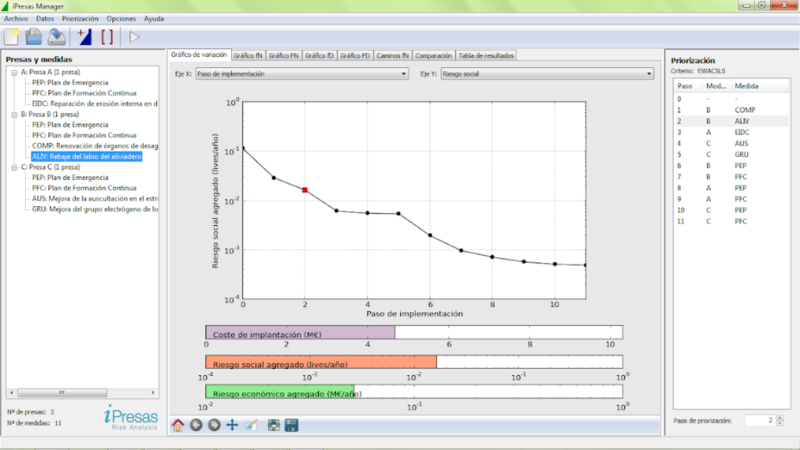 The capability to model any type of consequences (loss of life, economic, total, incremental). 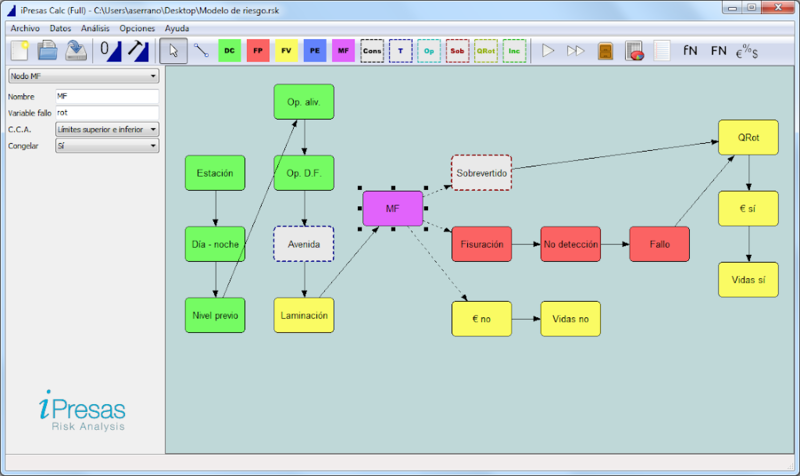 The high process capabilities to model arbitrarily large event trees. 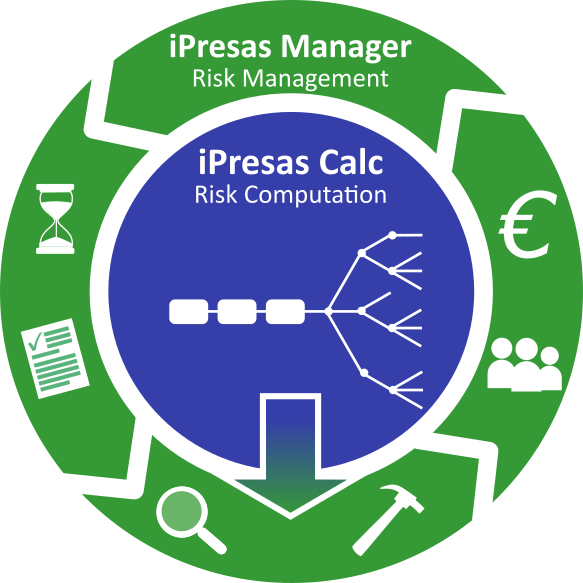 iPresas Manager is a software tool to support safety management for a group of infrastructures based on the results of their risk models. This tool allows to compare uniformly all the infrastructures; to analyze them simultaneously and compare risk with international tolerability recommendations; to calculate different risk indicators; and to analyze, view and evaluate different prioritization strategies regarding safety investment. 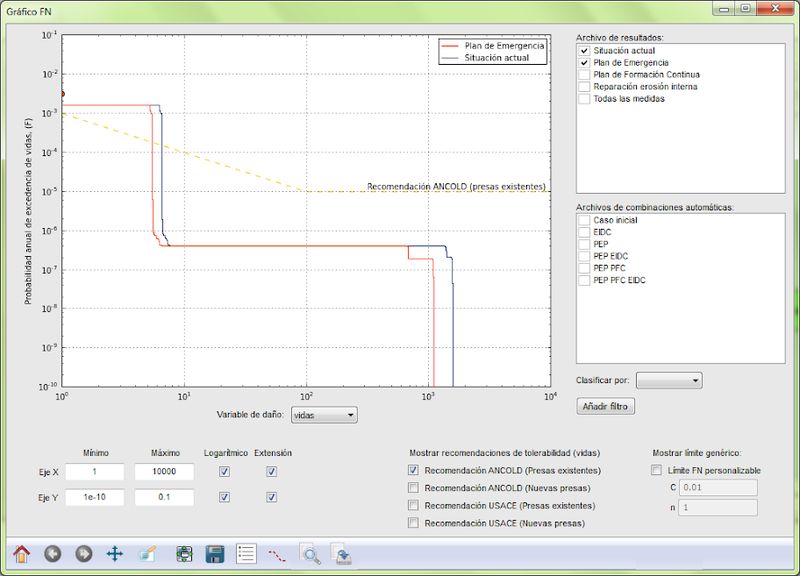 iPresas Manager arises as a very useful tool to improve safety governance of infrastructure portfolios.